Phytolith analysis was conducted on soil samples from an archeological profile at the Hehuashan site, located in the upper Qiantang River region, China. 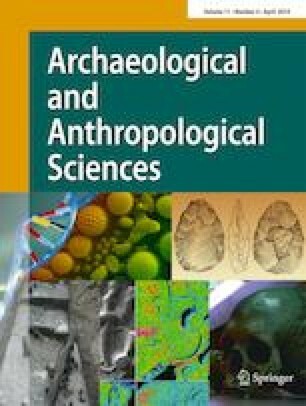 This paper focuses on: (1) changes on the morphometric features of Oryza-type bulliform phytoliths from the rice leaves of the Early Neolithic Hehuashan site, (2) human adaptations during the Early Holocene, and (3) the cultivation of rice by Early Neolithic occupants in the upper Qiantang River region. The phytolith assemblage before and during the Early Neolithic Shangshan Culture occupation of the Hehuashan site indicates a landscape composed of reeds (Phragmites australis), rice (Oryza sp. ), Bambusoideae, and some woody plants. The amount of Oryza-type bulliform phytoliths and the number of scale-like decorations present along their margins increased from the lowest to the uppermost deposits at the site. The change in the amount and morphology of bulliform phytoliths indicates the presence of wild rice around the site at the time of human occupation, which provides evidence of a shift from the collection and possible manipulation of wild rice to cultivation during the Shangshan Culture period (11400–8600 BP). We are grateful to our referees for helpful suggestions which have greatly improved the paper. This study was supported by grants from National Basic Research Program of China (no. 2015CB953803), National Natural Science Foundations of China (no.41472145&41702186), State Key Laboratory of Palaeobiology and Stratigraphy (Nanjing Institute of Geology and Palaeontology, CAS) (no.143112), and Youth Innovation Promotion Association of Chinese Academy of Sciences (to Yan Wu).